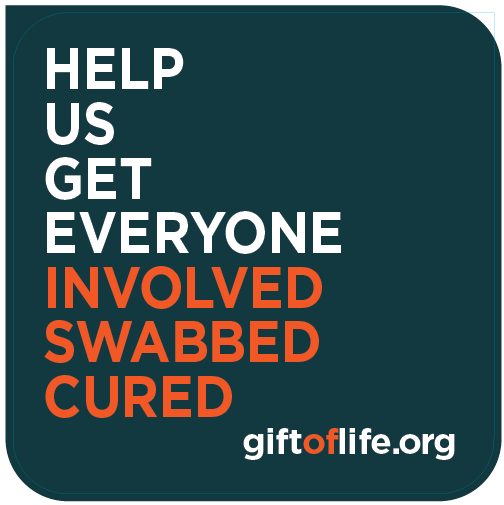 Have you already been swabbed at a recent donor drive? Existing Registration: Please enter the email address you registered with at the drive to complete your registration. Donor Drive: Please choose a donor drive below. Please enter the email address you registered with at the drive to complete your registration. Thank you for your interest in joining the Gift of Life Marrow Registry! Complete this page and the next steps which include a brief health history and your contact details. We then mail you a cheek swab kit which you use at home and send back to us for testing. If you prefer to register at a donor drive in your community, click here for a list of upcoming drives. Recipient Leya meets Donor Jonathan! Share this image to social media to let your friends know the importance of joining the registry.